Lazada is giving away 3 pairs of Flight tickets to the top 3 Spender during their Online Revolution launches with a day of mega sales on 11 November 2014. Which is???? TODAY!!!!! Today will be the biggest sale of the year in Southeast Asia, set to rival Black Friday, Cyber Monday and Singles day. Visit Lazada.com.my today, 11 November 2014 from 11am - 11pm to enjoy up to 82% off on a flash sale which will be happening every hourly on promoted products. Let us shop at Lazada today!!! 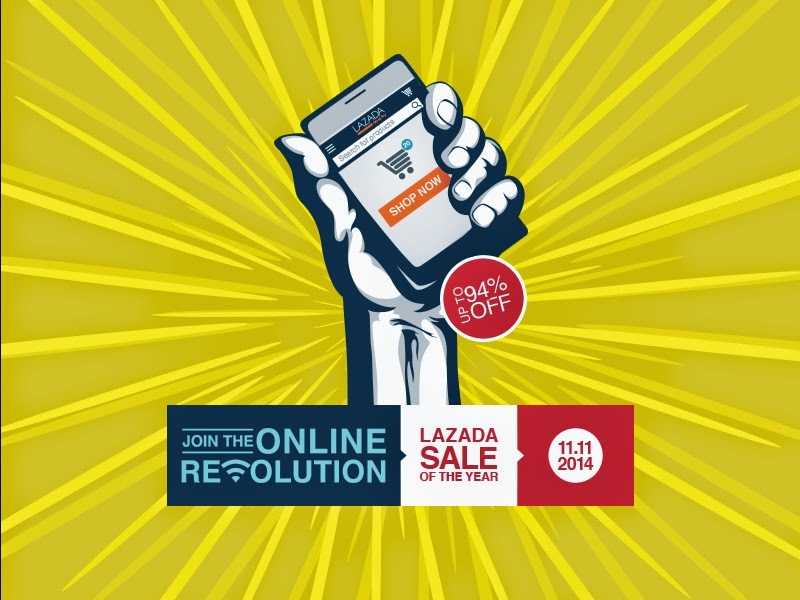 Visit Lazada (www.lazada.com.my) on 11 November as the Online Revolution launches with a day of mega sales. There will be a flash sale every hour from 11am to 11pm, with discounts up to 82% off the hourly promoted product. Adding to the excitement above, Lazada will be giving away 3 pairs of Air Asia flight tickets to the top 3 spenders on 11 November. Lucky winners may choose to fly to Koh Samui, Bandung, or Cambodia for free. With unbeatable daily deals continuing on 12 November to 11 December and the ultimate effortless shopping experience, there is no better place to be than online at Lazada Malaysia. Bargain hunters can also visit Lamido, Lazada Group’s C-to-C online marketplace, for other revolutionary deals. Lamido is a buy and sell platform, empowering merchants and consumers with an easy way to conduct safe transactions. Visit www.lamido.com.my for more Online Revolution promotions from our sellers. Competitions – Facebook fans can “like” daily deals and share it with friends to unlock a special item at the lowest price in the market. Consumers can participate in a treasure hunt on the site to find hidden treats in store.